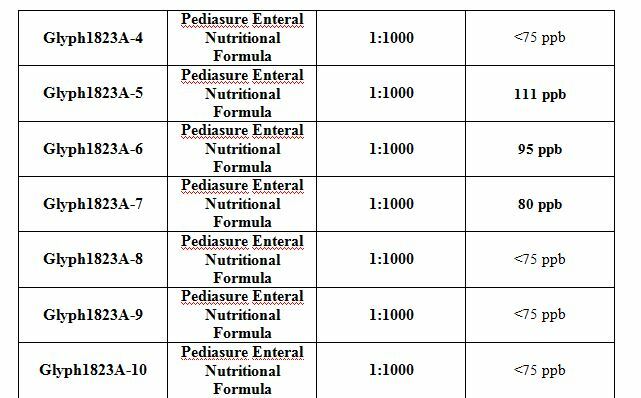 New lab report testing carried out by Moms Across America has found the world’s number one herbicide, glyphosate, to be in feeding tube liquid which is given to babies and children who are in need of nutrition in intensive care. 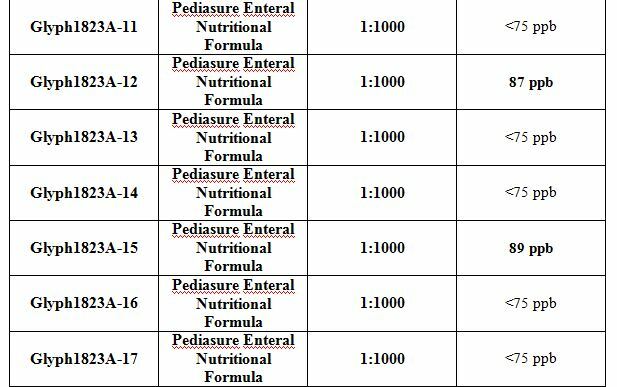 Specifically, the herbicide was found in PediaSure Enteral Nutritional Drink. The testing found that 6 of the 20 samples tested contained ‘high’ levels of glyphosate – over 75 ug/l, which was the minimum detection level of the ELISA assay used. These levels are higher than what has been shown to destroy gut bacteria in chickens (.1ppb). 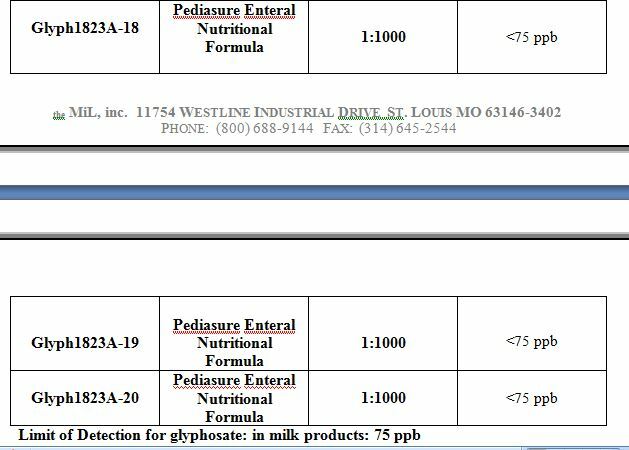 The PediaSure Enteral Nutritional Drink tested contained GM maize (GM corn syrup) and GM soya, both of which are sprayed with glyphosate-based herbicides (these include Monsanto’s ‘RoundUp’ herbicide), during the growing season and at harvest as a drying agent. “As a mother I am very disturbed by these results. Working as a paediatric Physical Therapist I met children with feeding issues who depend on tube feedings for their entire lives. Children who experience trauma and are recovering from car accidents, shootings, cancers, surgeries and other illnesses may require these tube feedings for days, weeks, or years. This new testing is the latest to raise awareness regarding the ubiquitous and harmful nature of glyphosate-based pesticides. Regulators as well as Monsanto claim that glyphosate is excreted from the body, but numerous studies have shown that not only is it causing numerous health problems, it is also showing up in urine samples, blood samples, and even breast milk. The lab results also follow the first ever pilot biosurvey on glyphosate in the breast milk of American women, commissioned by Moms Across America and Sustainable Pulse in 2014, which found ‘high’ levels in 3 out of the 10 samples tested. “The more data produced regarding the levels of glyphosate in our food, water and medicines the better. Even though this testing is not validated it does give a strong clue as to how ubiquitous glyphosate is in the U.S. food supply system. The question the EPA, USDA and all regulatory bodies worldwide should be asking themselves is are they willing to risk public health by relying on short-term industry sponsored safety studies on glyphosate and all other pesticides. Approximately 1 billion pounds of pesticides are sprayed on crops in the United States alone every single year. Thanks to pesticide/herbicide-resistant GMO crops, that number is growing every year. Much of this pesticide spraying contains a toxic ingredient known as glyphosate – the primary poisonous active ingredient in Monsanto’s best-selling herbicide RoundUp. why are they putting it in there? this is why i believe there is a plot to deliberately poison mankind for profits. Sick people keep the money coming in. Bastards. In this case we have an incompetent medical society of ignorant leeches.